Volan (?) 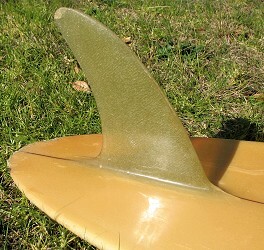 Fibreglassed foam blank, 1/8" redwood stringer, r/h plug. Large Gordon and Smith enhanced script, multi coloured in shield with bird borders at sweet spot. 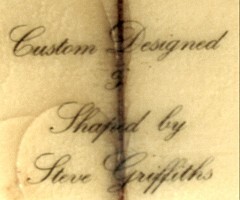 Black script Hand Shaped Tubeshooters by Steve Griffiths, on tail. Minor dings to deck and bottom with fibreglass worn off nose and tail. 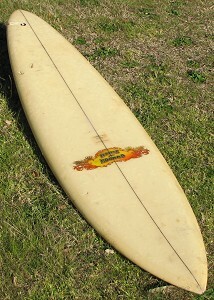 Long term Cronulla surfer, Steve Griffiths went on to other Sutherland Shire manufacturers including Emerald Surfboards.